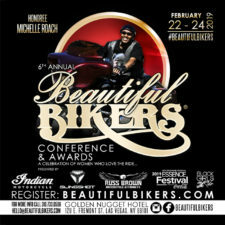 Charlie’s Angels MC ‹ Black Girls Ride Magazine | Motorcycles, Accessories, Biker Fashion and Events for Women Who Ride! 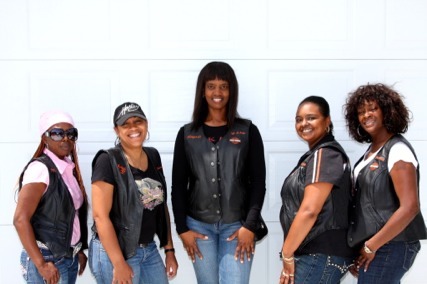 Charlie’s Angels Motorcycle Club & Social Club is one of the newest all Female MC clubs to hit the streets of LA. 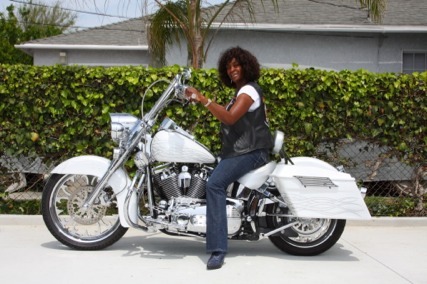 Comprised of successful African American business women, the ladies take pride in their bikes and pleasure in serving the community. President Sheila “She-She” Lewis brought the ladies out to our first Black Girls Ride photo shoot, where we had a chance to learn a bit more about Charlie’s Angels, their mission, and their guiding light. I sat down with She-She for a quick Q and A. A. Charlie Angels was birthed on January 25th 2010, the evening my sister Charolette ‘Charlie’ Johnson passed away from a long battle with breast and brain cancer. The founding members are Pres: Sheila( She She) Lewis, VP: Ida (Itty Bitty) McCullam, Tres: Chimere(Chi)Anderson,Sgt at Arms: Rhonda(Slimgoode) Jordan, Sec: Paula(Honie P) Harrison. 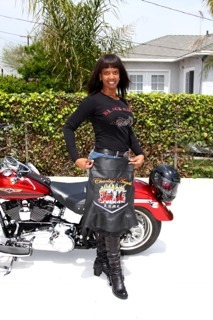 Charlie loved the fact her husband King Kong of the Los Angeles Chapter Kings of Cali and her sister She She was so anchored into the motorcycle set. She wanted to share that life experience with her family. She suffered from seizures which disabled her from riding a motorcycle. Her strength and determination didn’t stop her from finding an alternate means of keeping up and finding a way to get MC colors without a bike. She said she was going to get a Butter Creme yellow scooter put a flower basket on the front to hold her boom box so she could have music like us. Unfortunately, that day didn’t come but on February 2, 2010 the day she was laid to rest. She was presented not only with her colors but a Motorcycle and Social club named after her in commemorative of her spirit. A. Our mission is to make a positive difference in the lives of women and children in under serviced communities by providing them with knowledge, resources, and encouragement; with emphasis on healthy living and Cancer Awareness. When women are informed they are empowered, and an empowered woman can make the difference between a thriving community, and a defeated one. Q. What is your criterion for membership? A. Membership Criteria: Must have a Motorcycle or in process of getting one within 90 days. M1 and insurance. Must fellowship with club on rides and other outings for a period of 90 days. Q. What are your favorite cities or roads to ride? A. One of my favorite rides is Arizona because its wide open and by the time you finish clearing your head you are there. That’s what a good ride will do for you create a place for peace to reign. Its call therapy. Other than that anytime we get on the ground and return home safe is a favorite road to ride. Q. What should a woman look for in an MC club? A. A women should look for commonality in a club a place of likeness. She should find a safe place where the women in her circle won’t deliberately hurt her or set her up to fail. A place where she can laugh from the soul. A place where she can seek a supportive system that she can depend on in a time of need. A place where her tears won’t be the only ones to fall. A sisterhood that is durable enough to weather the storm. Q. What does your club look for in a member? A. Our club looks for members who are on the same page as we are. And who’s thought patterns are in line with our mission and values. We look for women who are humbled, willing and self less when it comes to others not only with our members but through community service. We look for mature minded and responsible women who are secure within themselves. We look for women who have the time to commit to nurturing positive relationships with other women. A. To be a female motorcycle rider you must have heart, strength, and a love for the road. It is what sets us apart from others. We must as women start supporting and respecting all females that are on ground. Our numbers are small in comparison with male riders, but our dedication to riding is just as strong, so we need to stick together and really start making our mark on the bike scenes not only in Southern California, but nationwide. 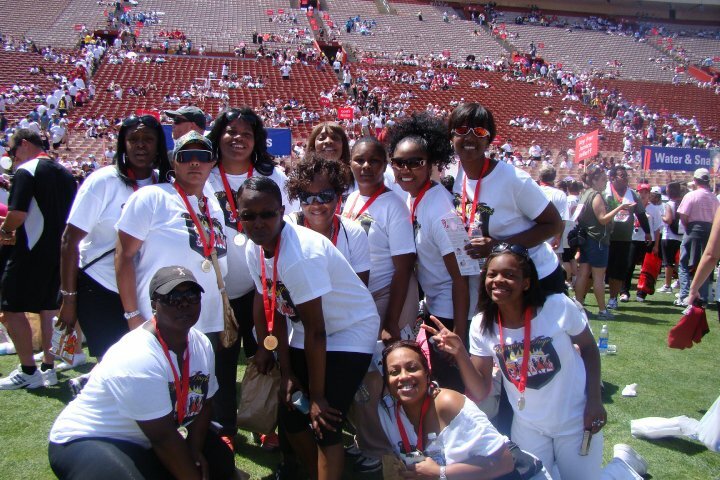 Charlie’s Angels, also consist of a social club with members that support our efforts as MC’s and help fulfill our overall mission. We are a club with a mission and we will continue to uplift our sisters on and off the bike set. Although we are a new club, we are making strives everyday to empower our sisters, and contribute to the positive imagery of Female Bikers. For more information about Charlie’s Angels Motorcycle or Social Club visit us on Facebook, http://www.facebook.com/#!/pages/Charlies-Angels-Motorcycle-SocialClubs/125746227436229. I wish you had a club in Huntsville, AL I have been riding for 4 years 6 months and I am so tired of being the only woman who will ride long distance with the guys. God bless your club my sisters I have passion for the road the wind in my face and the way my HD sounds in to my ears and my body.. Iron Butterfly. What an absolute privilege it was to meet you at the Harley dealership on Friday. You are such an inspiring woman. I trust we can continue to stay in contact.